Is it time to give your pension a spring clean? The start of the new tax year can serve as a useful prompt to refresh your finances and take a look at your pension. Are your plans on track for your retirement? Here are a few steps you can take. One of the most important things you can do is to think in terms of the lifestyle you aspire to in retirement, and work out the level of income you will need to fund it. Drawing up a budget that caters for your living costs and factors in the things you will want to enjoy more of, like hobbies and holidays, will help you get a clearer picture of the amount you’ll need to have saved. The valuable tax breaks available on pension contributions (subject to the Annual and Lifetime Allowances) act as a clear incentive to save as much as you can comfortably afford. Many of us aren’t saving enough, so bear in mind that even small increases in contributions can add up over the years. It can help to think about alternative strategies such as working longer or going part-time, or even starting a new career. Today, those past State Pension age are much more likely to still be in employment than would have been the case a decade ago. Reviewing your current pension arrangements will help keep your plans on track and provide an opportunity to increase your level of contribution if your circumstances permit. Getting a State Pension forecast from the government’s Future Pension Centre makes sense too. With many of us set to have several jobs during our working lives, it’s important to keep track of pension pots from previous employment. An independent financial adviser will be able to review these with you and help you decide whether it’s best to consolidate them into one pension plan. 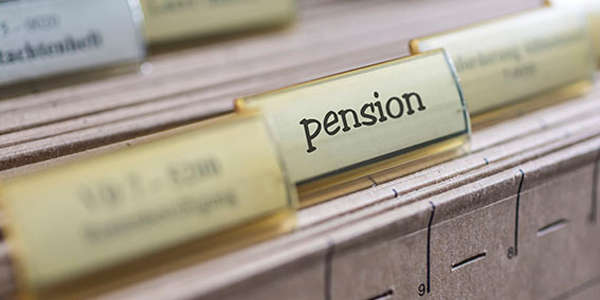 Those dipping into their pensions using the pension freedoms introduced in 2015 need to be aware of the taxation implications of doing so if they also want to continue to save into a pension. An increasing number of individuals have been reported to be breaching the allowance. In the 2015-16 tax year, 8,890 individuals breached the allowance and paid £19,933 in average excess. By the following tax year, this figure doubled to 18,930 reported cases paying an average charge of £29,6351. Although tax relief is normally available on pension contributions up to £40,000 a year, once a pension saver makes a flexible withdrawal, the Money Purchase Annual Allowance is restricted to £4,000. Keeping up to date with pension rules and limits can seem complex and time-consuming, so do ask your independent financial adviser for advice.